TAP CENTER TO LOAD MENU. Multiple logos, saber hilts, saber colors, optional animations, and more...Includes randomizer options menu Glowing dots color indicate battery level, color will fade from green to red as battery drains. Hand built with meticulous attention to detail. 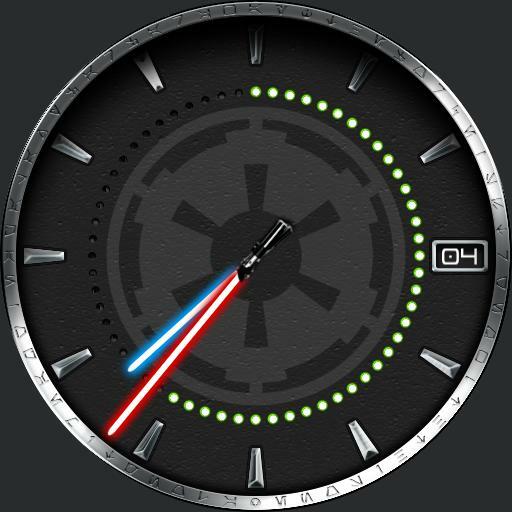 From lightsaber options to the Aurebesh minute markers, this watch face is sure to strengthen the inner force in all of you.